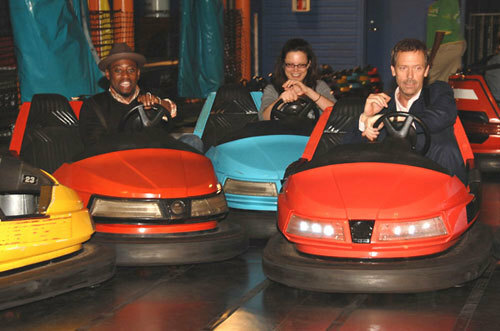 House MD Cast in Bumper Cars. Check out these fun photos of Hugh Laurie, Omar Epps & Jesse Spencer in bumper cars at the FOX TCA Party on July 23. . Wallpaper and background images in the House M.D. club tagged: house cast hugh laurie jesse spencer omar epps.